The journey from the main road, a federal high way to Iri lasted for almost two hours on a dusty road, which was only wide enough to accommodate one car at a time. The community plays host to the Adara ethnic group, indigenes of the area as well as a handful of Fulani’s, whom due to their pastoral life have settled there, making several of them to have no other home but this settlement. The lgbos and other ethnic groups are also found in this society and the major pre-occupation of the indigenes is farming and business. 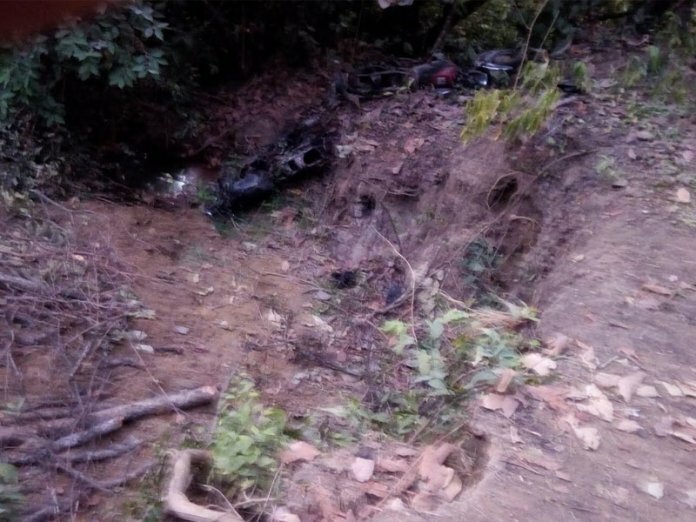 The trip was a fact-finding mission about the reported death of 66 persons in Kajuru, a Local Government Area in the southern part of Kaduna State, last week Friday. The news which was broken by the state governor, Nasir El-Rufai, revealed that 66 persons were killed, a number that escalated to 131 within four days. Thus, the media crew’s first point of call was at the home of the priest of St. Bernard Parish, Rev. Father Donatus Okoye, who countered the figures of the dead being bandied around. He conducted the Mass for the burial of 11 Adara’s which included a pregnant woman and an aged blind mother of 90. While confirming that indeed there were killings on the midnight of Sunday, February 10 and the early hours of Monday, the cleric debunked the governor’s claims of 66 persons, which rose to 131 within four days. He said the Muslims and Christians in the community have enjoyed a cordial relationship until of recent, and if at all there was such an incident leading to such number of deaths as postulated by the governor, his Fulani friends who had found shelter at his residence when the incident happened would have briefed him. He said: “I have a good relationship with the Fulanis, we do Christmas together, we do Sallah together. On the issue of the killings, it started on February 10, 2019. On Sunday, at about 11pm, Fulani herdsmen invaded Agwan Barde I under Kajuru Local Governments and they killed 10 persons including a pregnant woman. “The next day being Monday, we were able to get the corpses and we sent information to the police in Kajuru local government. We gave Information that he (DPO) needs to come and see what is happening and they came. We continued our investigation concerning what took place. “After our investigation, those that murdered the 11 persons are Fulani herdsmen, they were about 10 of them. We had some of their sticks, the police division went with the sticks. All of them (police) confirmed that it was Fulani herdsmen that carried out the killings. “On the 11th, we observed that Fulani people were moving out of the area to Kachia Local Government government around Crossing. After the police investigation, they sent a message to the Kajuru local government chairman who confirmed that everything is true, that Fulani carried out the attack. “Later on in the evening, we organised mass service for burial. We have the pictures confirming that these people were killed. The same day, in the night, around Maro, some unknown gunmen, invaded the place again in the night. We have been trying to trace where they came from but we haven’t been able to. We are still investigating. “They came and continued to shoot gun and injured some Fulani and Adara people. Some of the injured ran to Iri and some assistance was given to them. Some were taken to the police at Idon Hanya and some to the hospital. Many Christians were injured and also many Fulanis. “The issue of killings as stated by the governor that Fulani herdsmen were killed, numbering about 100, is not a true story. Before this unknown gunmen came, most of the Fulani people had left that area. Some of them have gone to the barracks, some of them at Crossing. “When the governor came, on February 16, that was around 4pm, he came here and passed through Iri. He mentioned earlier that there was war at Iri. It is not a true story. At Iri they passed to discover that children were still playing on the street, business was as usual. Then they went Barkira. From the home of the priest, the crew continued their journey in the quest of unearthing the facts. They passed the Iri Gida market square and briefly observed its market day which occurs once in a week until it got to the end of the motorable road which was the beginning of another journey to Ungwan Barde 1, Maro District. It lasted for 48 minutes on a motorcycle. At the time the crew got to this community which is surrounded with hills and rocks seemingly in the middle of nowhere, the people were still mourning and many had deserted the place. The graves of the dead which were five in number and accommodating two bodies except for one with three which had a pregnant woman, still looked fresh from the activities of the previous week. Fear as well as uncertainty could be felt in the air. The people were eager to take the media crew round the village and show them proofs of the attack which included burnt barns, bullet ridden doors, blood stained walls and mattress, as well as the pictures of some of the deceased. They lamented that since the incident, not even one government official had visited to commiserate with them and when asked whom they felt were the perpetrators of the wicked act, they claimed the Fulani’s were responsible because they spoke Fulani all through the operation. The village head, Mr. Daniel Audu who looked overwhelmed with the recent happenings and who spoke through an interpreter, disclosed that the community which has about 74 households, has never had any conflict with the Fulani’s, as communal life was a phenomenon that was observed and well respected by the two groups. As an eyewitness, he said:” Late in the night as I slept, I heard a knock on my door and when I opened it, there was no one. After sometime, I heard gunshots and I ran into the bush. After sometime, I heard the wailings of a woman saying that Fulani’s will kill all of them. I immediately came out from hiding and I asked her to identify herself as the entire community was in complete darkness. She did and I identified her a member of the community. “Others who had gone into hiding also came out from the bushes and we went round to see what had happened. While some were shot, others had machete cuts. I checked for those already dead and they were right in number. The others died when attempts were being made to take them to a nearby hospital. I called on the district head of Kufana and he immediately called the DPO who came and showed us where to burry the dead” he added. The crew returned to Iri Gida and began to search for Fulani’s to speak with, as their exodus from the affected communities had made them scarce. In the search which led towards the main entrance and highway, two Hilux vans filled with armed security personnel of the Nigeria Police were seen escorting some of the Fulani’s back to the community. The Fulani’s were in a lorry with some food items and all took instructions from Dr. Sale Momale of the Kaduna State Peace Commission. Out of curiosity, the media crew stopped and had a brief discussion with Momale who said it was late to go to the grave site where the Fulani’s had been buried. Already, it was some minutes after six in the evening and everyone was exhausted but determined to get to the crux of the matter. The media team insisted and two Fulani’s whom THISDAY later got to know are brothers, were released under instruction from Momale who spoke to one in Fulani to take the media to the site. The names of the brothers were Lawal Adamu and Ibrahim Adamu. While Lawal was driven in the same car with THISDAY, Ibrahim was driven in the second vehicle. The journey lasted for about 20 minutes and a walk from the road to the grave site was about another twenty minutes in the midst of trees and shrubs. 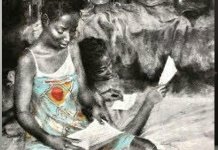 Lawal narrated in Hausa how he had single-handedly dug the grave in a ditch which let out the strong stench of decomposed bodies. He said the depth of the grave was as deep as his frame, save his head. He added that the burial which took him five days to finish was carried out by him alone in the presence of security personnel comprising of the army and the police who kept vigil while he carried out the activity. While lamenting the loss of some members of his family including his two wives, parents, grandchild and cattle, Lawal who disclosed that he has no other home apart from the displaced settlement, said such incidence had never been the case as they have always lived in peace and have engaged in several businesses and celebrations with the Adara’s. Adamu who emphasised that he gave the state government the estimated figure of 131 victims, said 37 were buried in the grave he led the media team to, while others were buried in different undisclosed locations. Although the estimated figure of buried bodies he gave did not conform to the total number he claimed and as revealed to the state governor, Lawal continued to insist that the figures were not just 130 but 131. He said he buried two, seven, 18, four and another two at seperate locations. He however insisted that the Adara’s were responsible for the attack. He said “Adara are responsible for the killings. Between man and God, Adara are behind the killings. It happened early in the morning before some of us could even perform the morning prayers. Those that could run, took to their heels and those that couldn’t, had their heads cut off. “When the burial was taking place, there were military men and the police. The security personnel that stood on my left were up to six in number. Those that stood in front of me are a figure I cannot ascertain. The killings happened on Monday and the burial was performed on Wednesday. The media left the scene when it was dark and drove to the highway at some minutes after eight at night. The journey continued and the crew got to Kaduna town at a quarter to 10pm. 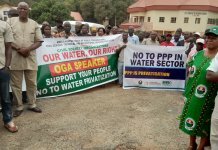 The next day, being February 22, the National President of the Southern Kaduna Peoples’ Union (SOKAPU), Solomon Musa, who held a press conference, called on the federal government to act. According to him, what has been going on in the southern part of the state was not conflict as generally believed but genocide and deliberate acts of terrorism. The president who was visible angry, noted that a script is been acted upon, adding that exhuming the corpses to serve as evidence for the mass killing of the Fulani’s can be considered as an option, as such is the global practice. 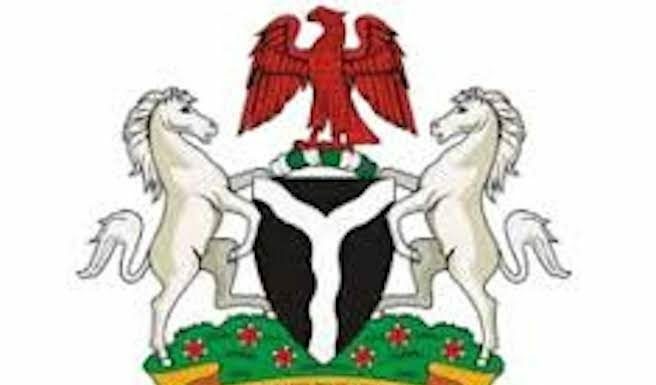 He recalled the colossal loss of lives in a neighbouring community, called Kasuwan Magani, where several indigenes of the Southern Kaduna nationalities were killed towards the end of 2018 in which he said the governor never deemed it fit to announce not to talk of the nationalities affected. He said: “I am sure all of you watched with shock and amazement the announcement of the governor that 66 people were killed and the announcement was made in such a manner to portray to the world that a day before the election was when this incidence happened, assuming if any of such incidence happened. 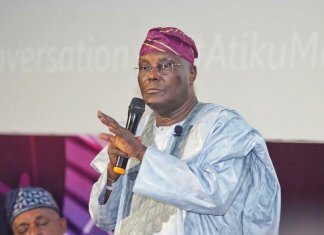 “As the national president, Hausa, Fulani, Atyap, Bajju, Adara people and all others report incidences to me and you know as a matter of fact, on Sunday, the national president of the Adara Peoples’ Development Association called to inform me that 11 people were killed and I told him that authorities should be notified and you believe they were notified. No action was taken by the government be it at state or local government level. Security agents were not mobilised to go there and nothing was said by the governor. “Mallam Nasir El-rufai is the greatest security threat to the whole of Kaduna state. He is the greatest security threat. We call in the federal government to act on this man. What we are faced with is not conflict but genocide. It’s terrorism, nothing more, nothing less. If they claim that Southern Kaduna kills people, what about Benue, Plateau, Nasarawa, Taraba and other places? “The governor said that every four years there is a case of violence in the southern part of the state. We saw this statement as a proverbial case of a witch crying at night and someone dies at day time. We believe that it is a script that is being prepared, written and to be projected very soon by some persons. “We cried out to the world and issued out a press statement and to show that somebody is preparing towards election period and that if anything should happen by way of violence in Southern Kaduna, the governor should be held responsible”. On the same day, based on invitation, the media crew visited the office of the Kaduna State Commissioner of Police, Ahmed Abdurrahman. He also disowned the figures touted by the governor, who is the chief security officer of the state. It was also his words against that of Lawal especially as it related to the roles of the security personnel. Abdurrahman said: “The assertion of the Fulani that policemen were there when he was burying the dead and taking pictures was a mix up because that very hamlet where they said that they buried 37 corpses or so was discovered by the military. “The terrain was very terrible and it is difficult to know where and where were affected on February 11th when it happened. No policemen went to the area ahead of the military. It was the military that went there first to assist probably the Fulani’s that were affected and help them to bury their dead. “We policemen came along with the general officer commanding (GOC) whose men discovered the place and we went together. It was when we went to Kasuwa Mangani on one of our strategies for stakeholder meeting and trying to calm nerves and finding a lasting solution to this nonsense that we were informed that there is a camp inside Iri and that we should please go and have a look. “Until we fully conclude our investigations, we cannot come up with a figure. You may come up with a figure now and then later, you have to come and say it again. As far as police is concerned, we are investigating and investigation is still in its embryonic stage. 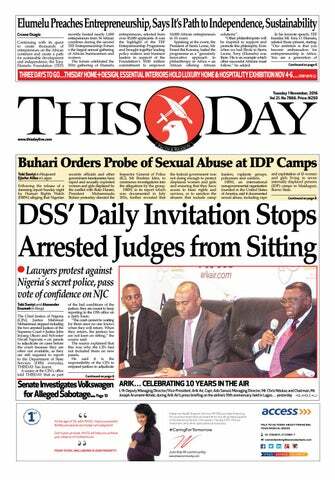 At the end of THISDAY checks, one stood certain from the several narratives given by all concerned. Even with the various contradictions, all have accepted that indeed there were the loss of lives. This is to say that those in authority need not arouse tension and fear until proper investigation have been carried out without fear or favour bearing in mind that peace is needed in the development of every society. This also goes to say that for peace to return and for suspicion to be cast away, adequate security must be provided for all and not for a select group. In essence, the onus also lies on members of the respective communities to come together and face their common enemy and not themselves.